People over the age of 50 are at increased risk for hematologic and cardiovascular diseases. Testing for clonal hematopoiesis helps in evaluating such risks. 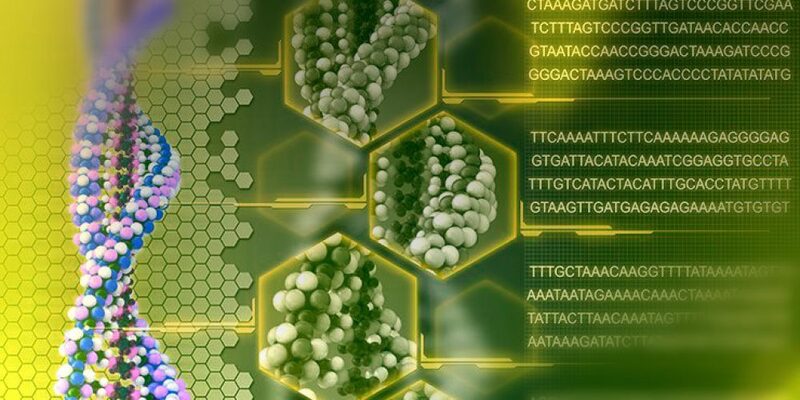 This is a next-generation sequencing (NGS) test to identify molecular abnormalities in 65 genes implicated in hematologic cells. 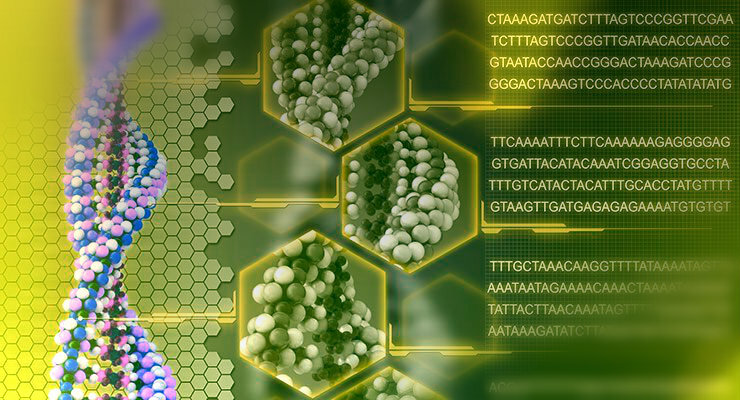 The assay is designed to detect genomic abnormalities in hematologic cells. The presence of genomic abnormalities indicates clonal hematopoiesis. Clonal hematopoiesis has implication on the development of hematologic neoplasms as well as cardiovascular diseases. Clonal hematopoiesis of indeterminate potential (CHIP) is defined by the presence of low-level mutations in the peripheral blood in clinically normal individuals. The rate of transformation to a hematological neoplasia is 0.5-1% per year. Clonal cytopenias of undetermined significance (CCUS) is defined by the presence of cytopenia (anemia, low platelets or white cells) along with llow-level mutations. CHIP is detected in 3-5% of normal individuals above the age of 50 and in approximately 10% of people aged 70 to 80. The diagnosis of MDS is confirmed when mutations in hematopoietic cells are detected at relatively high levels (>40% of cells). 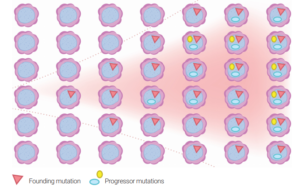 However, mutations at low levels in a few cells can be detected in normal individuals. 30 per 100,000 per year in patients above the age of 70. Patients with CHIP have 4.0 times greater risk of myocardial infarction as compared to individuals without such clone. The prevalence of CHIP in patients with coronary artery disease is reported to be at 18.2%. 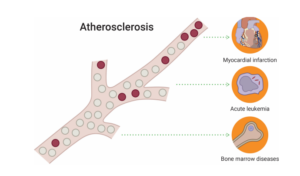 Mutated genes in CHIP, are pro-inflammatory and lead to the development of atherosclerotic plaques. Anti-inflammatory agents might slow the progression of cardiovascular disease in patients with low-level mutations in peripheral blood. with cytopenia will have mutation in one or more genes. 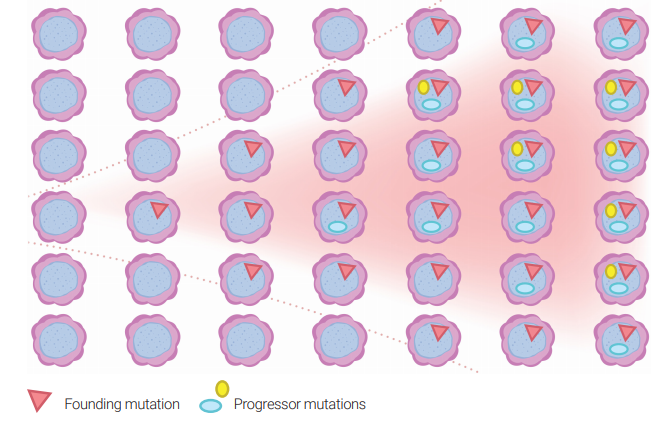 These patients with mutations have a significantly higher probability of developing MDS or other hematopoietic neoplasms (AML, MPN, lymphoma, etc.) within 5 years. Keep in mind that we do not accept blood samples directly from individuals. Talk with your M.D. to fill out the form for you. Do you want to download the Requisition?